Expect to see Dave 'El Blondie' Colclough climb up the European Rankings at the end of this month. The GUKPT Manchester winner has just made his second final table of the National Poker League – UK. 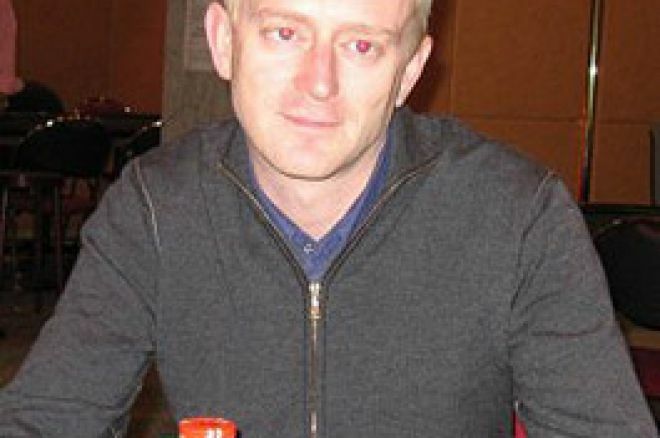 He came 5th in the £500 NLHE, where he was joined by Tony G and eventual winner Mike Conway. The final table is being filmed for broadcast across the World and the NPL is set to make stops at Monte Carlo, Manilla, Toronto and Vegas. Colclough is currently 7th in the European Rankings and 2nd in the UK Rankings (Behind fellow GUKPT champ Dave Smith). However, its final table placings that make the impact in the Mansion sponsored player of the year rankings, if Colclough can get a result in the upcoming WSOPE or EPT events it could nick the title for him.